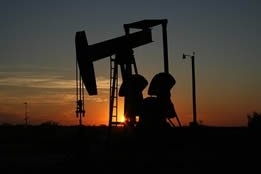 In a disappointing end to what was otherwise a solid week for crude prices, Friday saw Brent drop 1.3 percent to $66.96 per barrel, while West Texas Intermediate settled down 1.6 percent at $59.04 per barrel. The losses were said to be mainly due to traders suddenly focusing their concerns on a lack of progress in the China/U.S. trade talks and Wall Street's main indexes dropping over 1 percent (which in turn was caused by European, Japanese, and American manufacturers disclosing that trade tensions had impacted factory output). It's worth noting that market fundamentals for the first quarter of 2019 - which ideally should be the driver of prices - have remained a lot stronger than originally predicted and will likely remain unchanged for the next few months, according to economists. When asked by CNBC television what needs to change to get crude back on the uptrend, Anthony Grisanti, founder and president of GRZ Energy, replied that the week's trading activity had been overdone to begin with: "it was up 10 percent in less than two weeks." He added that "continued large draws" in inventory would pull WTI prices back to the $60 level. Jim Iuorio, managing director of TJM Institutional Services, said that "Crude has been remarkably well behaved technically....but make no mistake about this: it started its rally from December 24 the same as stocks, tapped out yesterday the same as stocks; mostly crude is trading as a risk asset, and as long as stocks have to shake out some fluff, crude probably follows - down to $57." Looking ahead to the remainder of the year, Richard Mallinson, co-founder of Energy Aspects, told Bloomberg television that if nothing else, Saudi Arabia and Russia "have found a real sense of common purpose" in working together under the Organization of the Petroleum Exporting Countries (OPEC) to extend the cartel's production cuts, in a bid to keep the market balanced. He added that oil should be trading "easily $5-$10 higher than we're seeing...the reason we're not is sentiment: the fear of a repeat of last year, and I don't think that will be shaken off anytime soon" - but that when the summer unfolds and assuming fundamentals remain the same, prices could go as high as $70 for Brent.